One way and two way slabs as floor systems are the most conventional forms of structural floor systems. 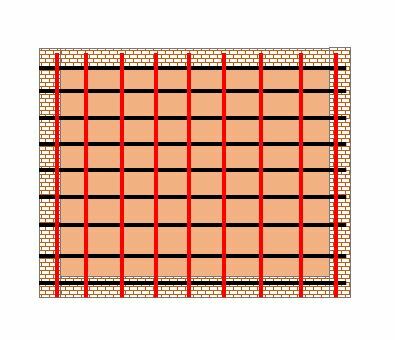 Reinforced thin plate elements are supported over beams, masonry walls or directly over columns. Beam and slab arrangement can be the best example for one way and two way slabs. Each single slabs are referred to as panels, if the slab is continuous over supports. A slab or panel is said to be two way slab if the ratio of longer span to the shorter span is not greater than 2 (two). Hence, one way slabs have ratio between longer to shorter span greater than 2. All traditional floor systems were designed as either one way or two way slabs. So it was important for the engineer to understand the spanning direction. In other words, it can be said that, two-way slabs span in both directions. On the other hand One-way slabs span in shorter direction and is designed for one way bending. In the absence of advanced analysis software, like FEM modelling, it was necessary to idealize the slabs, one-way or two-way slabs, to use direct methods for the design. 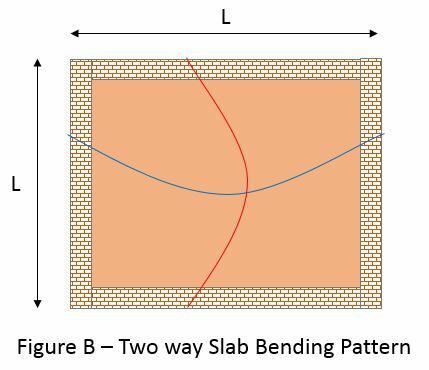 The figure A & B above shows deflection and bending pattern of both one-way and two way slabs. Figure A shows a slab supported over masonry wall/beam on both sides is expected to bend in the shorter direction due to its self weight. The same behavior is expected when it is subjected to floor loads. The walls on either sides, equally shares the self weight of the slab. Whereas in figure B, the slab is supported over 4 edges, considering it to be simply supported, the slab can bend in both directions with maximum deflection at the center point of the slab. Here, since the dimension of slab is same in both directions, all the 4 walls equally share the weight of the slab. Hence load is distributed in a triangular fashion as shown above. 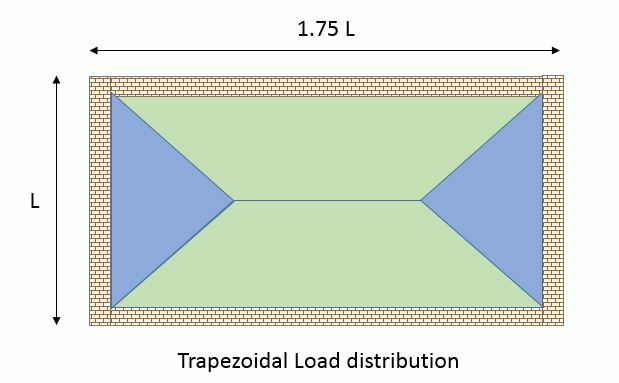 If one side had been longer than other side and ratio was less than two, the load would have been distributed in a trapezoidal fashion as shown in the adjacent image. 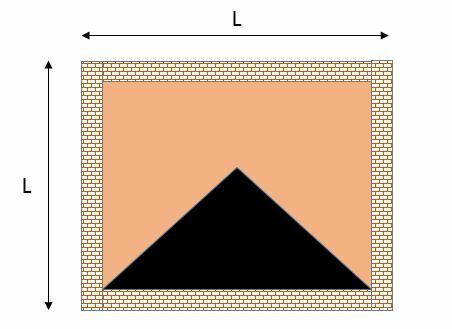 Thus the classification of slab, defines the load path and the behavior of a slab under applied loads. One way slabs are the easiest to design as the direction is simple and are usually designed as set of beam strips spanning in one direction. For the simplicity in design, one way slabs are designed in per meter strips. System with of only one panel, resting over wall, is analyzed & designed as a simply supported beam of 1m width. Depth of the beam is taken as slab depth. Continuous slabs, continuous over supports in one direction are designed as continuous beam of a frame. Maximum moment of simply supported slab is at mid-span under self weight and uniform pressure loads. Design reinforcement will be Bottom reinforcement and is provided in shorter direction. Minimum shrinkage reinforcement should be provided in other direction. Maximum design moment for UDL will be WL^2/8. Special considerations shall be provided for limiting the deflections with in permissible limits as per design code requirements. Limiting Deflection ensures user comfort and limits vibrations. Analysis two way slabs are not direct as in one way slabs. There are multiple analysis methods, manual and computer analysis, available for analyzing two-way slabs. Since slab spans in both directions, design reinforcement is provided in both the direction. Among these, Moment coefficient method is widely used. This is because of the simplicity of analysis and reliability of results. Moment and shear tables Reynolds hand book is mostly used in industry. 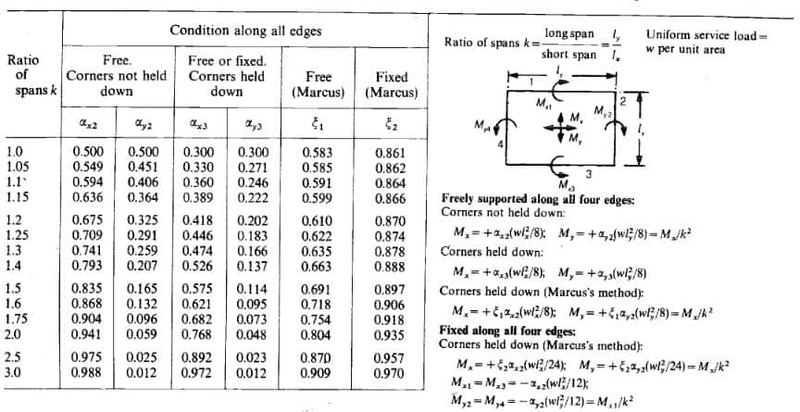 Here, moments and shear forces are directly calculated by multiplying load with a coefficient based on panel support conditions and span ratios. Two way slabs must have design reinforcement in both the directions. 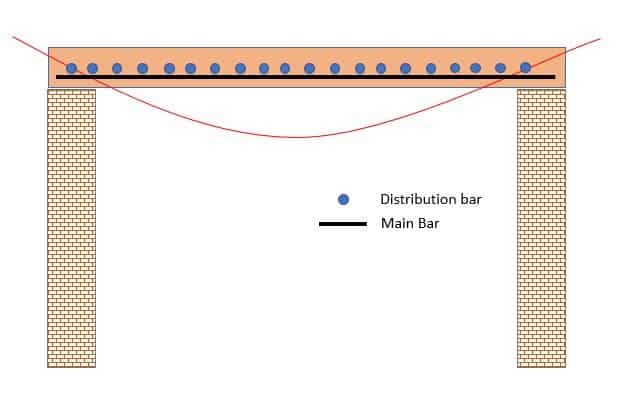 For single discontinuous panels, bottom reinforcement is provided in the direction of maximum moment and second layer is provided in the other direction. For slabs continuous over supports, hogging reinforcement is provided as top layer for maximum hogging moment. As the design of oneway slabs are similar to beams, location of design bar is also similar to beam. The design reinforcement is provided at bottom face along the shorter direction or spanning direction. Single layer of reinforcement is enough unless the thickness of the slab is greater than 200mm. A cover of 50mm is maintained to satisfy durability requirements. When slabs are continuous, hogging reinforcement is provided at top over supports. The bars are extended an anchorage length beyond the design section. Unlike, one way slabs, in case of two way slabs, reinforcement in both the directions are structural design reinforcements. Maximum of design reinforcement and minimum reinforcement requirements as per code is provided in both respective directions. For a simply supported two-way slab a mesh reinforcement is provided to resist bending in both directions. For continuous slabs, hogging reinforcements are provided at top over supports and bottom bars are curtailed.